Have any of you read this book? When I initially previewed it on Amazon, I was excited to read it and immediately added it to my Wish List. Then, around a month or so ago, I finally got around to ordering it. When it got here, I cracked it open, started reading, read two chapters, and put it down and I have not picked it up since. I am not usually the type to put a book down before I have at least gotten a quarter of the way through it, but this one just seems to predictable and did not catch my interest. I am disappointed, I really hoped it was going to be a good book. However, I know I will pick it up and attempt to read it again someday. Have you had this experience before? If yes, what books? Has anyone read this particular book and can offer me any insight? 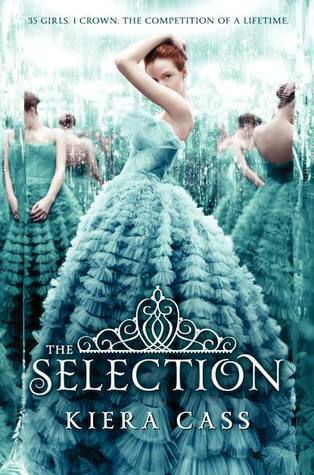 I have attempted to read The Selection multiple times as I was CRAZY EXCITED to read it when I read the Goodreads description before it came out. But like you I have not been able to get into it. It’s unfortunate as it seemed like a great book before I actually tried to read it. I don’t know, maybe I was just enticed by the icy, enchanting, fluffy gowns and shocking red hair on the cover. Know what you mean. Maybe one day you will have read all the books you had on your to read list and pick it up just for something to do. I have actually read the first one! It was amazing. Haha and yeah I might have creeped on your husband a bit. Lol. By the way he’s cute if that’s not really weird. You should definitely look into getting his books! He is as talented as he is attractive. Haha. I have read the beginning to London Darkness on Amazon and I really like it so I might be getting it soon. My name is Casey. I'm a Reader. A blogger. And a part-time grown up. Casey has read 79 books toward her goal of 85 books.